Shirley Eccles holds qualifications in Fine Art and Ceramics & Glass. 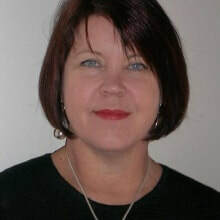 As a qualified teacher she has a wealth of experience including running her own teaching studio in South Africa and has been teaching in the UK for many years. She has a friendly, warm and enthusiastic teaching style and is loved by her students. Her glass art has been selected on many occasions for the British Glass Biennale and she has won scholarships to both Pilchuck in Seattle, USA and North Lands Glass, Lybster Scotland. She is a member of Just Glass and CGS (Contemporary Glass Society). She has given lectures on glass and her work has been included in many exhibitions and publications. Shirley loves teaching and experimenting with new ideas; she is passionate about glass and works to create informative and exciting courses. Shirley has used her art as a personal narrative and metaphor and has chosen glass as a suitable medium to express vulnerability, fragility and mortality. The work demonstrates a history and passing of time. Human activity is present, yet ambiguous and goes beyond its materiality to express both symbolism and the narrative. It is left to the viewer to interpret and it is her aim to touch upon spheres beyond its physical and aesthetic qualities.